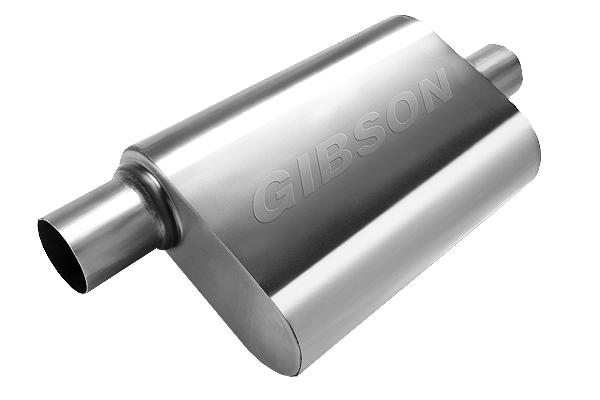 Gibson Superflow™ Mufflers exceed the performance advantages provided by all other mufflers on the market. They are the industry's most reliable and trouble-free performance muffler available. Why settle for noise when you can have MORE POWER and TORQUE. 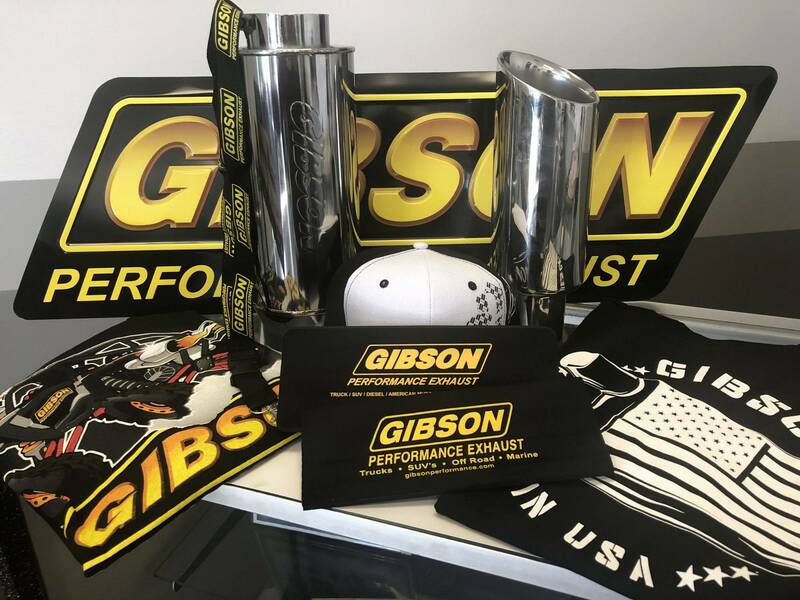 The Gibson difference is that our mufflers deliver the powerful "big block" sound at the tailpipe and are quiter inside the cab than any other aftermarket mufflers. 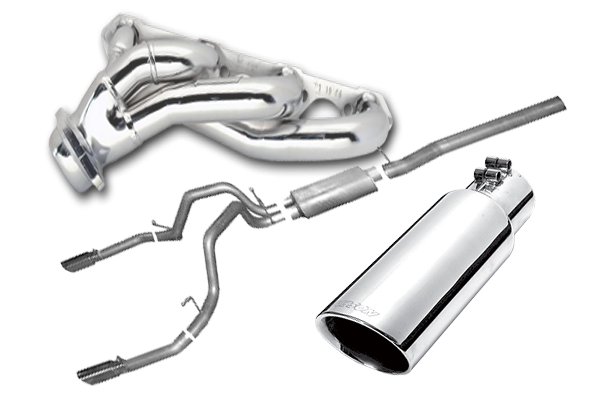 Gibson Performance Exhaust introduces the M.W.A Muffler Series for Maximum Sound and the Best Muffler Flow PERIOD! This Straight-thru design promotes exhaust gases to flow at the highest rates flowing only 3cfm less than a 3-in. straight pipe, improving power potential while keeping interior drone to a minimum. The MWA has NO internal packing or weak baffles, allowing it to maintain a lightweight design with a unique and powerful sound. 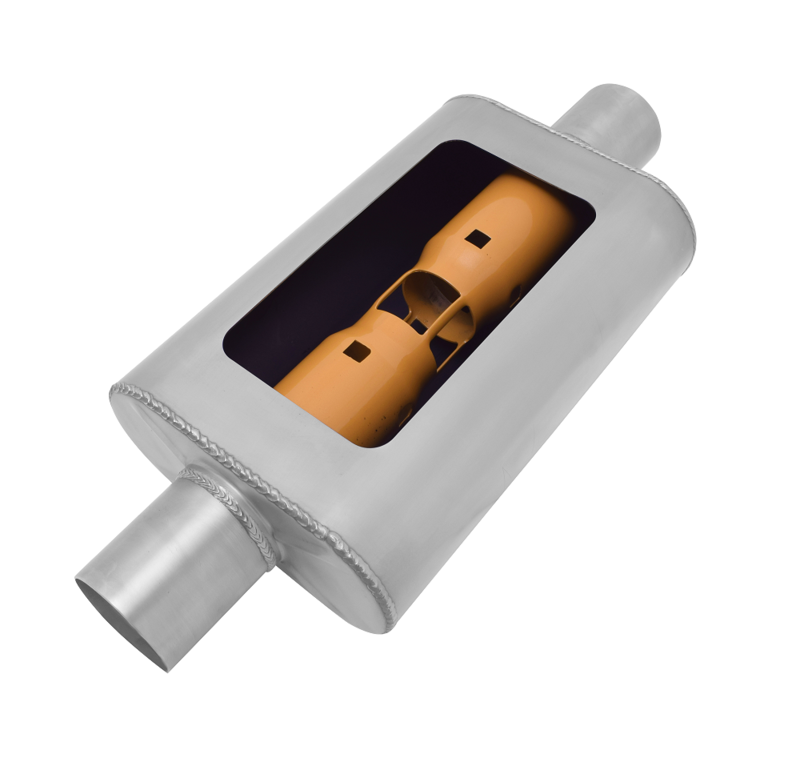 The MWA Muffler is 100% Made in the USA and is constructed of high quality Stainless Steel to outlast the competition. 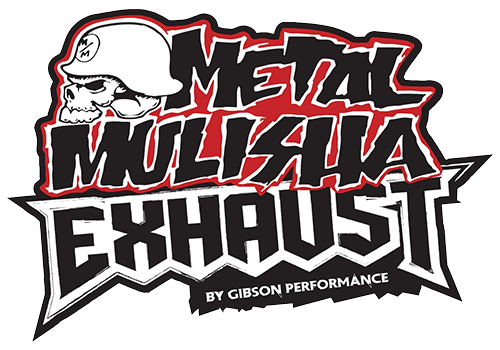 When it’s time to make your Hot Rod, Car, Off-Road, Truck or SUV sound and perform as good as it looks, there is no other choice than Gibson’s Muffler With Attitude. 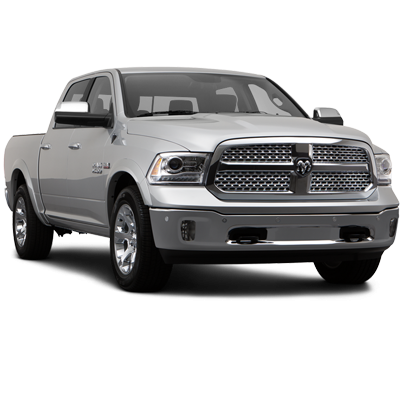 High performance vehicles need to be in peak tune to deliver optimum power to the pavement. 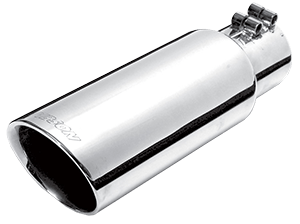 Gibson’s CFT Superflow muffler with Convergent Flow Technology actually tunes your exhaust by using resonance chambers, directional louvered tuning ports and angular induction to draw exhaust gases into the muffler and expel it at a higher velocity. The result is a muffler that doesn’t have packing to wear out, yet delivers more power and a performance sound. 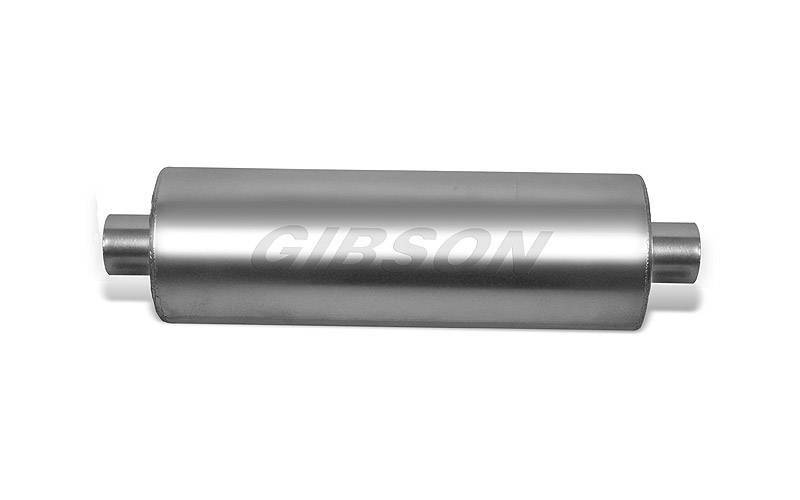 Why settle for noise when you can have MORE POWER and TORQUE with Gibson Superflow Round Mufflers. 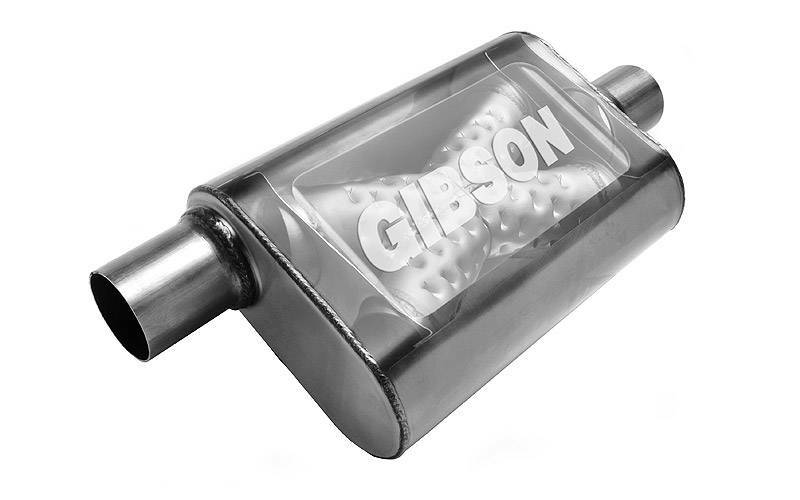 Gibson mufflers deliver the powerful “big block” sound at the tailpipe with more usable pulling power and torque! 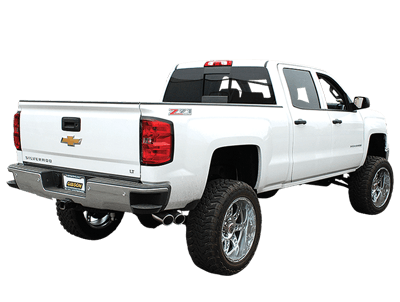 The Gibson difference is that our mufflers are quieter inside the cab than any other aftermarket mufflers.